In times of hot weather and thirst, there's really nothing better then a smoothie of freshly squeezed and blended fruits. 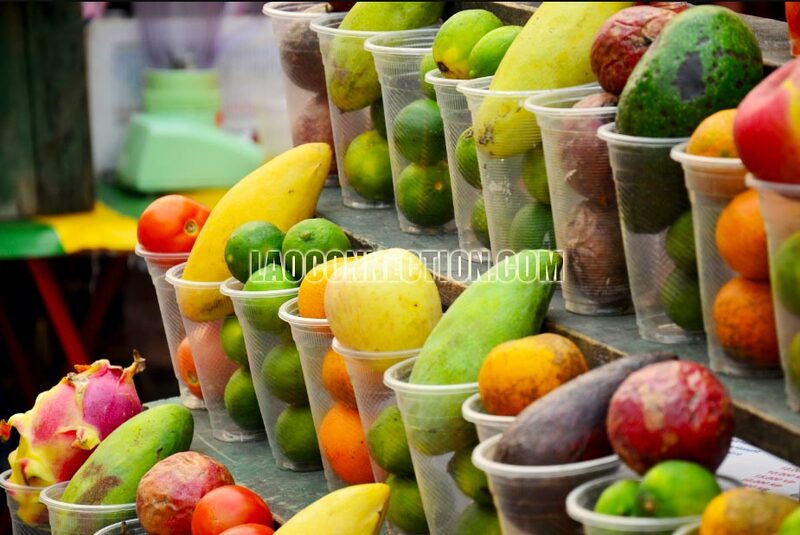 In most major cities in Laos you'll find vendors selling blended fruit drinks along the road. What's great is that it's fresh, cheap and you can choose from any of the fruits on display. Each vendor has their own variation of it, sometimes adding condensed milk, ice, etc. In Lao, blended drinks are called nam bun / ນ້ໍາປັ່ນ and they're usually around $1USD.